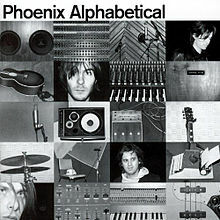 Alphabetical is the second album by the French rock band Phoenix, released in 2004. The album has sold 30,000 copies in the United States according to Nielsen SoundScan. The album has two singles; “Everything Is Everything” and “Run Run Run”.